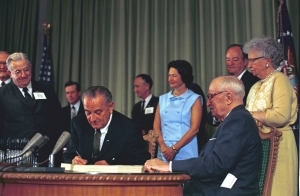 Medicaid and Medicare were signed into law on July 30, 1965 – exactly 53 years ago this week. Since these programs were created, they have given millions of people access to a doctor so they can maintain their health. Over the long-term, these programs have provided significant returns on investment, such as benefiting children into adulthood by lowering disability rates and increasing their earning income potential. Today, these two healthcare programs are worth celebrating and expanding even further as they continue to serve millions of Americans and North Carolinians each day. 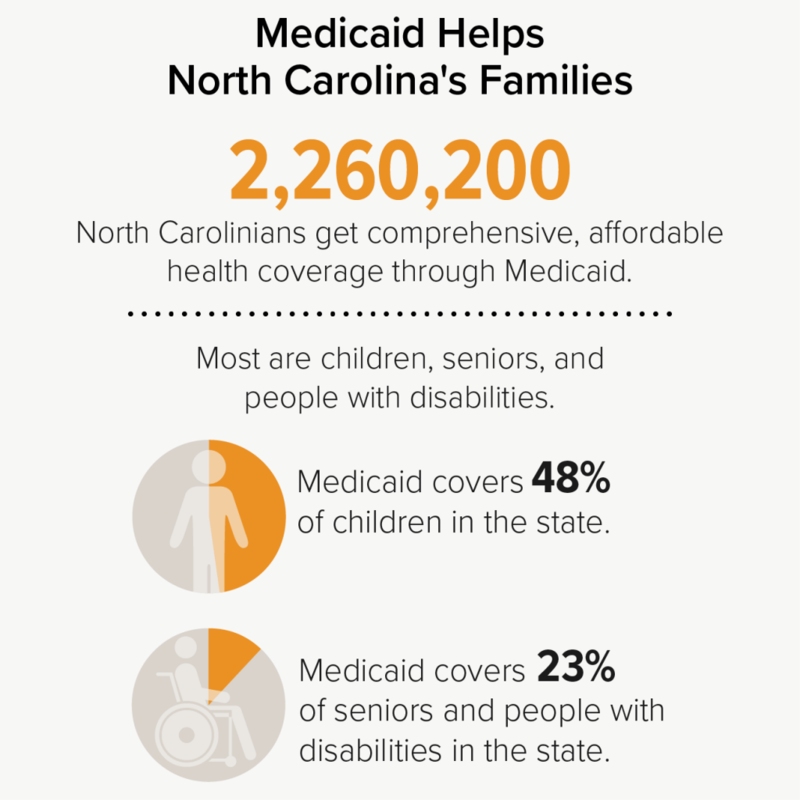 In North Carolina, 2.3 million people receive comprehensive, affordable health coverage through Medicaid. Medicaid provides health coverage to low-income families and individuals, including children, parents, pregnant women, seniors, and people with disabilities. 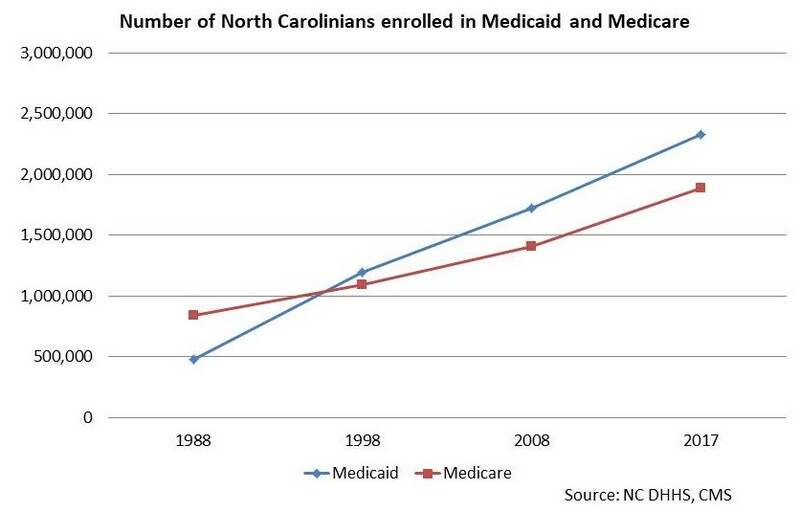 Meanwhile, 1.8 million North Carolinians (18 percent of the population) are served by Medicare, which serves people over 65, younger people with disabilities, and dialysis patients. At a time when some lawmakers in Congress and in our state’s General Assembly minimize the value of these critical healthcare programs and limit their potential, it is important to celebrate the 53rd anniversary of Medicaid and Medicare and recognize that their continued evolvement have helped transform the lives of millions of people in positive ways. In recognition of their 53rd anniversary, here are five facts and three charts that provide a quick glimpse into their reach, structure and impact. Fact 1: North Carolina’s health insurance gap coverage gap needs to be closed: In 2016, North Carolina had the 9th-highest uninsured rate (16.2%) in the nation for ages 18-64. This is above the national average of 12.4 percent. 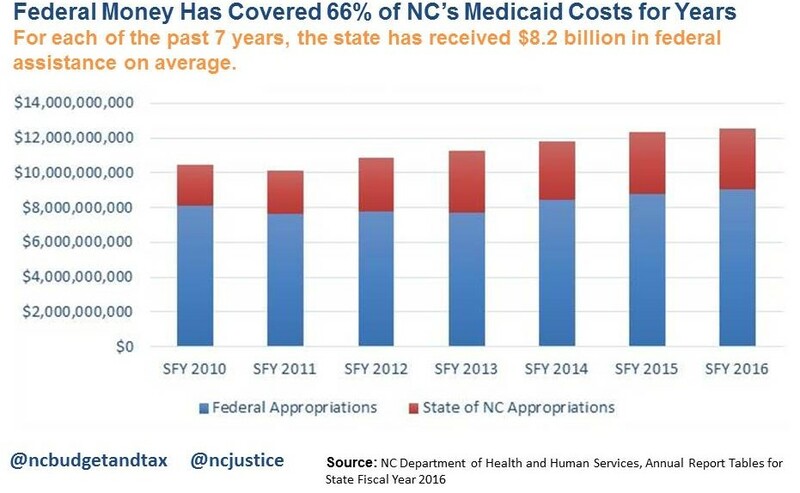 Fact 2: North Carolina’s legislature has rejected Medicaid expansion since 2013: If North Carolina expands Medicaid, over 600,000 more people in the state would receive healthcare coverage and $4 billion would be added to our state’s economy annually. Fact 4: The Medicaid system is efficient: For every dollar spent on Medicaid, 94 cents is spent directly on health services. Furthermore, Medicaid’s costs increased at about one-fourth the rate of private insurance since 2007. Fact 5: Women comprise 55 percent of Medicare beneficiaries in North Carolina: The average age of a Medicare beneficiary in our state is 71. In 2016, 1.5 million seniors and 321,600 people with disabilities in North Carolina were Medicare beneficiaries.